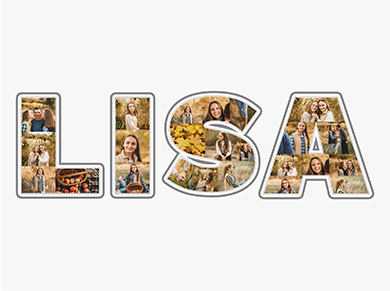 18 birthday photo collage – FREE templates for up to 100 photos! 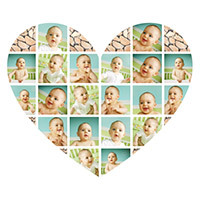 Creating a photo collage for a 1st birthday is always a great gift idea. 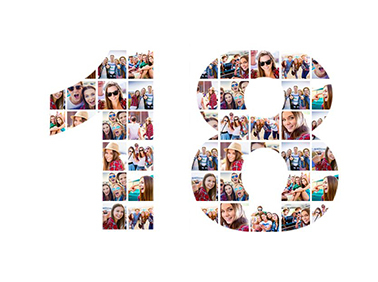 All those precious memories from childhood can be captured in an 18th birthday photo collage. 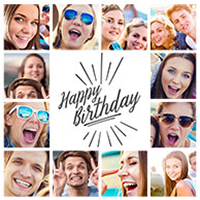 The 18th birthday collage maker includes numerous templates so that you can wish a happy birthday in style. 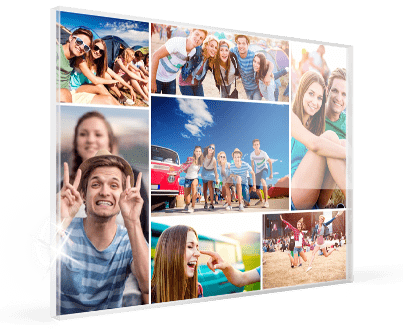 More than ten free templates provide you with a wide choice for creating a beautiful 18th birthday photo collage for gift. 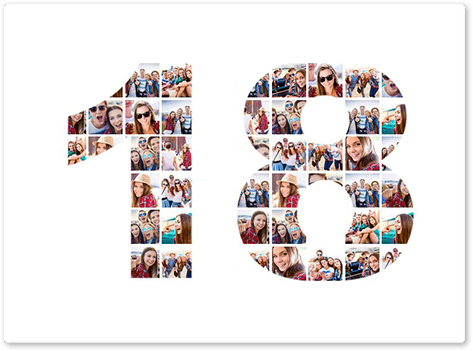 Make a photo collage for a 18th birthday now and commemorate a very special day in a special way. 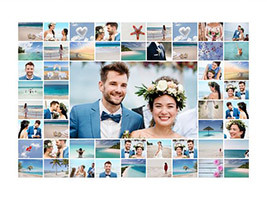 Tip: You can use up to 100 photos in one collage. It’s not easy finding the right birthday gift. 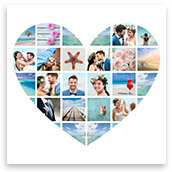 But a print collage of photos is a perfect present. Most of the time, you remember about it too late and then it’s all a bit urgent. You should always make your 18th birthday photo collage a few days in advance to make sure it will be there on time. After all, if you want to present your 18th birthday photo collage on someone’s big day, you have to calculate in delivery times. 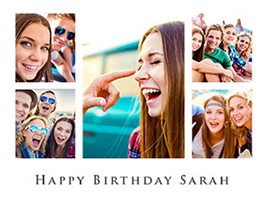 For the ever-popular 18th birthday photo collage on canvas or as poster, a speedy delivery is usually guaranteed. 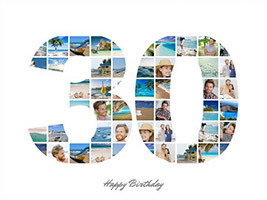 An 18th birthday photo collage on canvas or as a poster is also available at short notice.